Recovering from a drug or alcohol addiction is a lifelong commitment. Once rehab is completed and life is re-entered, all of the lessons and tools learned during treatment must be used to manage problems without turning to drugs or alcohol. 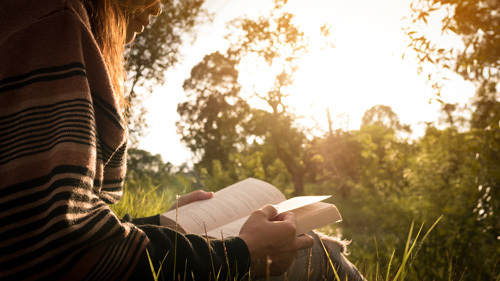 Recovery is a continual process, but a well-constructed reading list can help. There are many books that can help you stay inspired and motivated as you maintain your sobriety and stay focused on your lifelong goal. The following is only a small sample of the books that are available to help both those that are suffering from addiction and their families. In her book, Erica Spiegelman explains how to embrace recovery and think differently about living a sober and clean life. Her methods promote a holistic approach to recovery that is presented in a way that is easy to follow and empowering. Rewired is considered by many to be one of the best books on recovering from addiction in recent history. Written by Charlotte A. Tomaino, Awakening the Brain focuses on two essential elements of recovery, the potential each person has to recover and reshape the way the brain functions and the power of their thoughts and beliefs. One of the earliest neuropsychologists and also a nun, Sister Tomaino believes that individual human potential is almost limitless. Her book teaches basic techniques and methods that show you how to empower yourself and move forward to personal development. Permanent Midnight is the true story of Jerry Stahl, writer of the popular TV show Alf, and his struggle with heroin addiction. Although his addiction had devastating consequences, Mr. Stahl presents his story in a way that is easy to read, colorful, and at times extremely hilarious. Written by Christopher Kennedy Lawford, Recover to Live is a collection of opinions and conversations from experts in many areas of addiction. A self-treatment guide, this book helps to understand the conditions, both specific and general, of addiction. Gabrielle Bernstein’s book Spirit Junkie focuses on learning to love oneself in a way that is both understandable and accessible. It explains and teaches the benefits of mindfulness, how to distinguish between negative and positive messages, and the importance of knowing how to choose a response that is healthy. Ms. Bernstein stresses how important it is for a person in recovery to reconnect with a sense of hopefulness, compassion, and gratitude. In Survivors of Addiction, author Mary Addenbrooke gathered the narratives of 15 people in addiction recovery. She presents them as an overview of why and how these people became addicted and explains what happens once they have gone through the recovery process. This book gets deep into the minds of the addicts and looks at the healing process in a way that is easy to follow and understand. Written by Anthony Kiedis and Larry Sloman, this book gives a deep and raw look at heroin addiction and the depths of despair and sadness that go with it. Published in 2004, Scar Tissue is the story of Anthony Kiedis, the frontman of the Red Hot Chili Peppers. For more than 30 years, Melody Beattie’s book Codependent No More has helped families of recovering drug addicts and alcoholics understand and overcome codependency as they find their own individuality. Filled with practical advice, self-tests, and exercises, this self-help guide helps restore balance within the family. Written by Richard Farrell, What’s Left of Us is the true story of his devastating addiction to heroin and his recovery struggle. This book is not only an excellent resource for people in recovery, but also for anyone that wants to understand what motivates a person to use drugs or alcohol as a way to deal with the pain they experience in life. If you or a loved one are suffering from a drug or alcohol addiction, there is help available. Call and speak to a professional at Canyon Vista Recovery Center in Mesa, Arizona to begin the journey to a happy, healthy, and sober life. Learn more about programs offered at our Arizona recovery center, Canyon Vista.